The Royal County’s Boyne Valley has been crowned Foodie Destination of the year by the Restaurant Association of Ireland. At a ceremony in Clare’s Hotel Doolin, RAI President Anthony Gray presented the prestigious accolade to delighted Boyne Valley representatives, who managed to pip runner up Derry to the title. The winning destination was decided by online public voting (50%) and the results of the judges’ visit (50%) to each destination. The ten finalists were Derry, The Burren (2015 Foodie Towns winner), Boyne Valley, Cong, Kilkenny, Loop Head, Dublin Coastal Villages (Howth, Malahide, Skerries), Monaghan, Sligo and Leitrim. The Foodie Destinations 2016 winning criteria include active promotion of the destination through promotional activities such as food festivals, gourmet trails or farmers’ markets as well as great restaurant dining experiences. The winning Irish destination needed to have established a local producer/supplier network which is utilised and heavily promoted by local businesses. Plans for future growth and investment into the food and hospitality industry at a local level were also taken into consideration by judges. Education, training, development and employment were considered to be key components of the ultimate foodie destination. 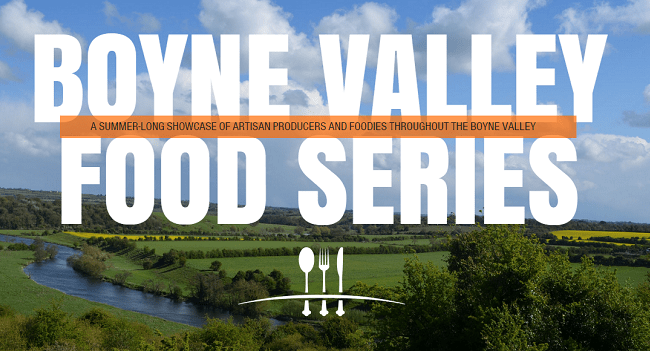 The Boyne Valley pitched itself as “a region synonymous with heritage and lush green landscape” with a concentrated effort on the marketing and growth of their fabulous artisan producers from Ireland’s only garlic farm, to heritage potatoes, blue goats’ cheese to rapeseed oils. With the RAI Best Chef in Leinster Rob Krawczyk of Tankardstown’s Brabazon Restaurant leading a troupe of talented chefs in restaurants across the Boyne Valley , it is clear that this is one destination not to be missed for the discerning foodie. For more information visit foodiedestinations.ie.